This image is from the vicinity of Larkspur, Colorado. The Interstate isn't too far behind the photographer, but there is no sense of that to the viewer. 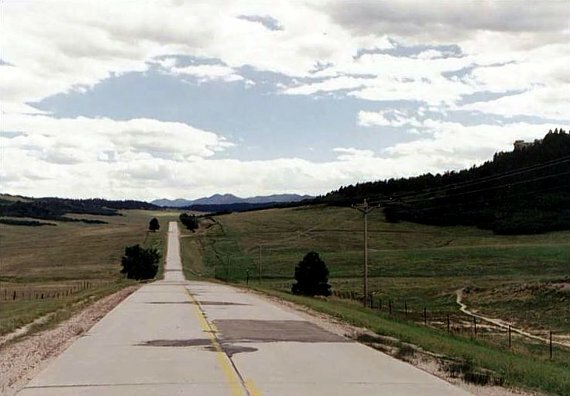 The scene looks south; the scene also looks backward, for those who wish, into history -- and to US highways 85 and 87, when this stretch of road was the main route between Denver and Colorado Springs.